I love Anna Maria Horner's Loominous collection and bought a fat quarter bundle a while back. It made the move with us from San Diego to Salem and has been sitting on the shelf. A few weeks ago I finally decided what I wanted to do with it and started cutting. Since I was working with a fat quarter bundle, there were some limitations here, but I had fun putting the quilt together. 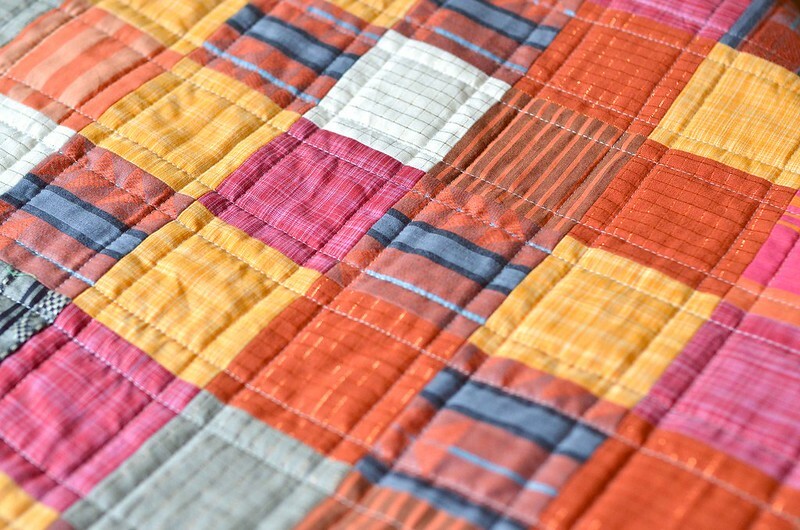 The woven fabric was not much different than working with regular quilting cotton - it is just softer. I had been planning to use another AMH print for the backing, but it didn't seem to do the softness of the woven fabric justice so I splurged on yardage of my favorite print from the collection for the backing. 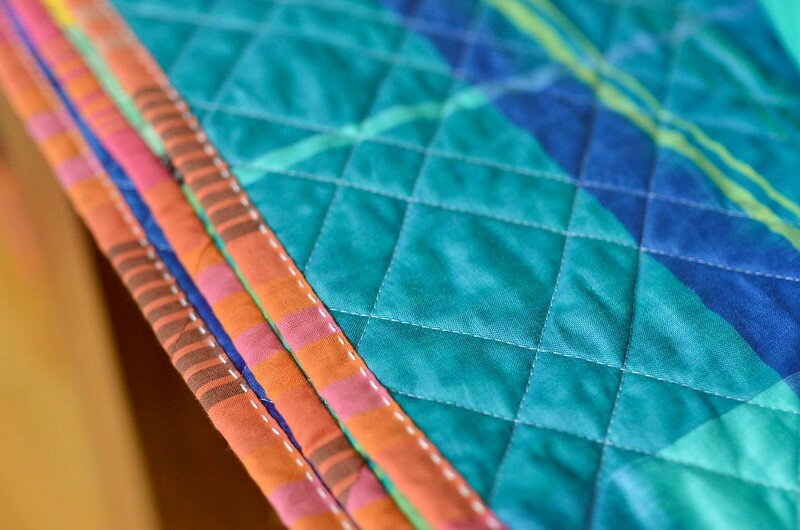 If you have been reading my blog lately, you may have seen a sneak peak at the binding last week. It is another Loominous print. I tried something new for the batting. It is Quilter's Dream Cotton Deluxe. It is not their thickest cotton batting, but it is a little heftier than my normal Quilter's Dream Cotton Select or Request. It was not difficult to work with and wasn't a huge difference, but it does give the quilt a nice warmth and gives the quilting a little more definition. I have re-stocked my Etsy shop with a few quilts, including this one, though I may take it out. I'm not sure I can part with this one. 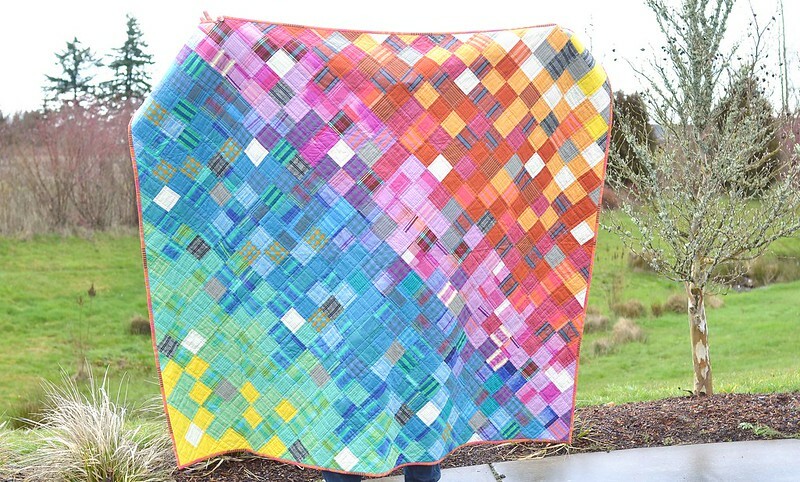 This quilt is gorgeous! Love the rainbow pattern it makes with all the beautiful fabrics!! I also loved Loominous collection of Anna Maria Horner. And With fun you have created very nice Rainbow Loominous Quilt from the waste Laminates parts. 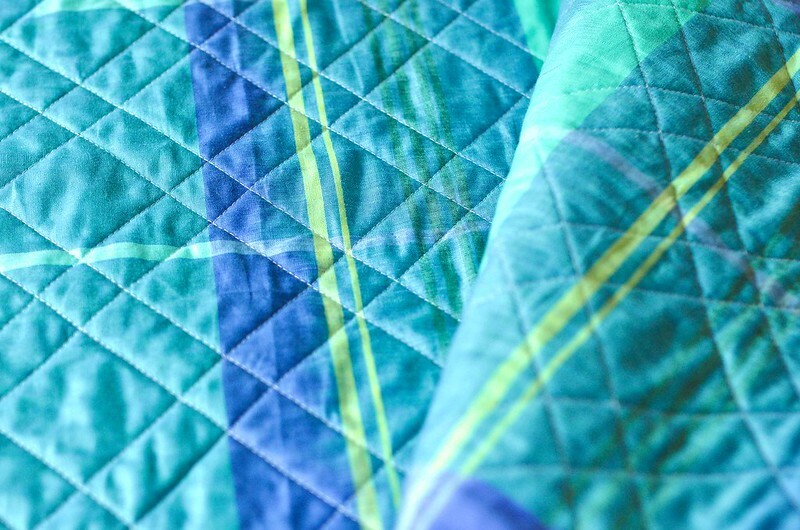 And really impressed with your creativity and usage of cotton batting which gives the quilt a nice warmness and also gives quilting a little more explanation. And I am sure my lady gang of assignment writers who are providing assignment help service in many subjects such as management, business, finance, account, nursing etc. I will also let them know about your stock at Etsy shop. Erica, this is absolutely amazing. I have a bunch of loominous that needs to be used up. What size are the squares in this quilt. I think I might just have to follow your example. It's stunning. I wouldn't be able to part with it either - its absolutely stunning! I would definitely keep it! I have a bundle of Loominous and not done anything with it yet. This is really lovely and your design shows off the fabrics so well. Very pretty, great use of this fabric line! You have a stunning quilt there! The colors and fabrics are scrumptious. Wow! Your quilt is absolutely gorgeous! Oh you've got to keep this one - its completely gorgeous and snuggly!! Such a pretty rainbow. I love this quilt. I would not have known what to do with the fabric and this is the perfect answer. Great job. 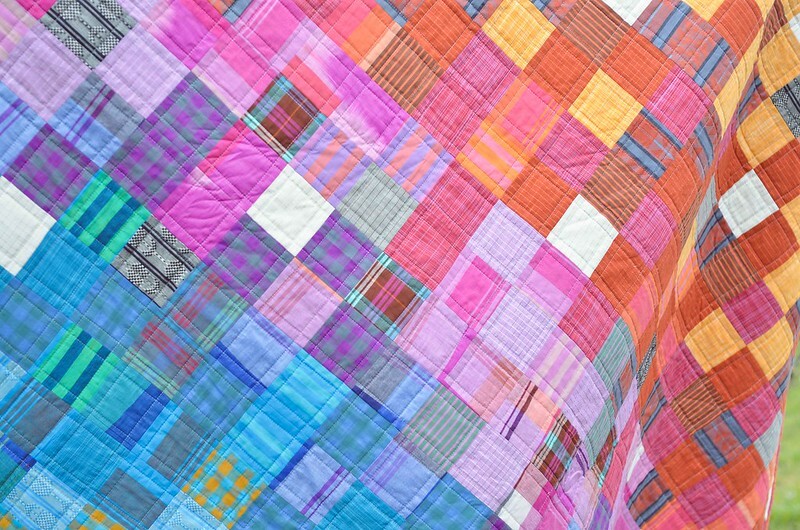 I love this quilt, it just glows.